Building information modelling (BIM), in layman’s terms, is perceived as a shared knowledge resource for information about an asset which creates a reliable basis for decisions during its complete lifecycle, from design to construction to operations and maintenance. 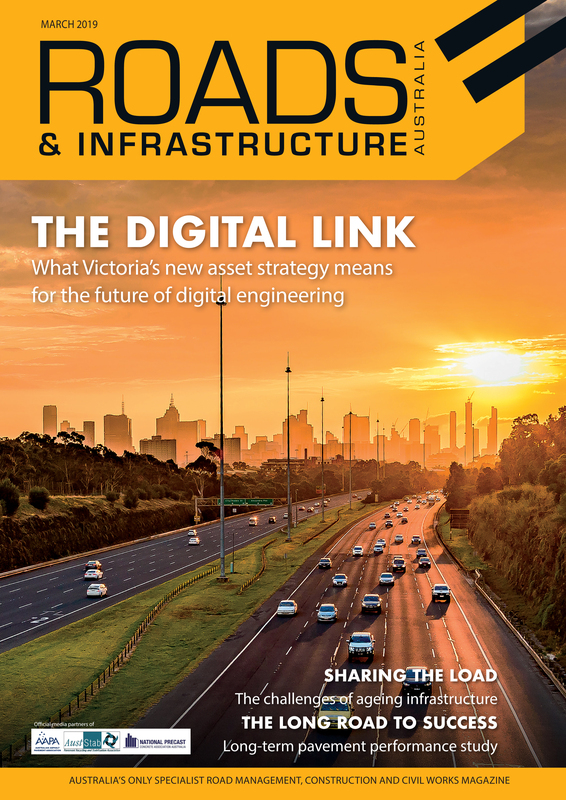 While infrastructure projects around the globe are adopting and embracing the BIM concept, Brian Middleton, Vice President – ANZ at Bentley Systems, says Australia and New Zealand have fallen behind. He says part of the issue begins with different interpretations of BIM. So if BIM is not new and infrastructure projects around the world are applying BIM to deliver significant cost, risk and efficiency benefits, why is implementation in Australia so slow for infrastructure projects? Mr. Middleton says there are many reasons – the assumption that BIM is a new concept can make its implementation seem like it’s a massive change which people are resistant to. “Australia has had 25 years of continued economic growth so the pressure to innovate is less pressing. Conflicting definitions of BIM confuse industry perception of what BIM is and what it can be utilised for. This problem is compounded when civil projects, such as road and rail that are linear by nature, try to apply BIM technologies, which were created for building projects that are vertical by nature. Most of all the lack of understanding about who benefits from BIM is probably the number one inhibitor in combination with contracts which stifle innovation. Mr. Middleton says an exemplar project and BIM approach Australia could adopt, adapt and improve is the Crossrail project in the UK, Europe’s largest infrastructure project. A wholly owned subsidiary of Transport for London, Crossrail is managing a $26 billion project that is improving and increasing the rail system capacity of the English capital by 10 per cent. But does BIM only work on large projects? Mr. Middleton says absolutely not, although large when taken as a whole, Crossrail is a project of projects. It consists of 23 design contracts, 34 advanced work contracts and 45 large main works contracts. “When you look at the projects being planned by each Australian state, every one of them could see themselves as a Crossrail,” he says. “Crossrail was smart, it took advantage of the Global Financial Crisis in 2008 to change the way projects were delivered in the UK. They told the supply chain clearly what was expected. Although not a term used in 2008, it could be argued that Crossrail issued the first BIM EIR (employers information requirement). The Crossrail team recognised that it had to manage the asset information for the next 110 years and that if they were to be able to reuse the intelligence created during the design and construction phase to reduce the total cost of asset, they could not allow the supply chain to own the data. That was the old way and Crossrail was starting with a new end in mind. Mandating a file format enabled Crossrail to achieve BIM level 1. Demanding that information be managed in the Crossrail common data environment (CDE) provided full control to Crossrail and enabled BIM to level 2. Today, the Crossrail CDE successfully manages, controls and shares with authorised internal and external stakeholders, which includes over 1,000,000 CAD files and more than 2,000,000 non-graphical files across all contracts. For Crossrail, BIM has been at the root of its innovation almost since the project began, and it has benefited the project through reducing design risks, minimising errors, improving collaboration between the parties involved and helping to improve exactly how the project is handed over into operations. BIM is considered in levels of implementation – level 0, 1, 2, 3 and beyond, each of which Mr. Middleton says have general definitions, as laid out in British Standards such as BS1192 and PAS1192 parts 2 and 3, as used on London Crossrail. These standards will become ISO 19560. He says BIM level 0 is 2D CAD delivered on paper. Level 1 is considered 2D and 3D modelling concepts, with the data shared through a common data environment, which he says is already well-established practice in worldwide, including Australasia. Level 2 BIM introduces collaborative working across all disciplines and information sources, not just design. This means the data from multiple sources can be used to create a comprehensive information model and ensure every aspect of the project is quick and easy to access. Level 3 is where whole of life asset management benefits are realised. A single information model is held in a shared and open database where any approved party, including designers, constructors, operators and asset managers, can access and modify the current, approved and controlled data, which helps optimise the maintenance of the asset. Finally, Mr. Middleton says BIM beyond level 3 is seen as being able to use BIM data for predictive analytics. This is where owners can use the intelligence captured through preceding BIM levels and use it to predict outcomes regarding future asset performance and investment. Mr. Middleton asserts that for ANZ to embrace BIM and truly take advantage of its various benefits for linear infrastructure, industry and government alike need to take BIM beyond level 1. 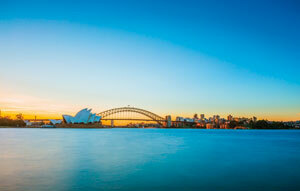 So, just how does Australasia take BIM beyond level 1? “Level 1 in my opinion doesn’t add much value, so like Crossrail, we should start with the end in mind. Ask ourselves why are we interested in BIM? What level of BIM do we want to achieve and why? If you just want to design and construct projects more efficiently, then BIM level 2 is as far as you need to go,” he says. “If you want to reap the full benefits of BIM and reduce the total cost off assets across its whole of life, then level 3 should be the target. “The construction phase might take one to 10 years. The construction cost be a fraction of what will be spent on the total life of the asset, which for road and rail could be 100 years or more. “Efficiency in operations is one the major benefits of BIM beyond level 1 for the asset managers and owners. BIM beyond level 1 helps deliver a complete data package of the project from contractor to owner easily and efficiently. The fact that the information is shared in a common data environment assists in the management of that asset. It’s not a 3D model of the asset either, it’s the information on every single facet of the project. Mr. Middleton says London Crossrail identified multiple examples of these benefits coming to fruition. He says Crossrail employed a full time Operations Director in 2010 eight years before the project handover. By reviewing the design and construct from a maintainer’s viewpoint, the team was able to identify areas to reduce whole of life costs. For example, noticing a poorly placed pressure valve that would prove a nuisance or even close a platform were it to burst, and having it moved to an area where it could be more easily serviced. The fact the Operations team picked that up in the BIM model, and had access to the common data environment in the first place, meant the design was easily changed at a small cost in the digital version of Crossrail. Mr. Middleton says this would have cost exponentially more to move post construction or more likely would never be moved. “Having the operations and maintenance involved in the design cycle helped improve the design and operability,” says Mr. Middleton. “I think the government is already doing a good job in terms of encouraging the conversation around BIM. There is, however, a considerable hurdle in taking BIM beyond its current trajectory due to the way owners tender their infrastructure projects to industry. Contractors are full of smart people, but legal restrictions around many tenders and contracts often restrict the opportunity to apply those smarts. Mr. Middleton says Bentley software is proud to be the Smart ICT provider to Crossrail enabling the benefits of BIM to be realised on a transportation project. He says the use of one format, stored in one common data environment, means that every designer, engineer and drafter is already adhering to one standard, and all that information can be utilised effectively. “BIM brings a lot to the market and the work we have done at London Crossrail has already helped inform other projects about the use of BIM beyond level 1, including HS2, Network Rail, KVMRT in Malaysia, Singapore Mass Rail Transit, Highways England, New York Metro, and the Nagpur Mass Rapid Transit and Pune Metro,” says Mr. Middleton. “Owners around the world are focusing on BIM beyond level 1 to realise the long term benefits, but we’re not seeing widespread mature adoption in Australia and New Zealand – not because there’s no appetite for it, but because of our understanding of how to approach it and appreciate what we can do with it.